So you just got a tattoo and invested time, money, and your own skin into a design that you want to look amazing. What are these scabs doing there?! Right now, your tattoo is essentially an open wound that will be healing over the next four to six weeks. As the skin heals, it is completely normal for a tattoo to have some light scabbing or have white, flaky skin develop over it. At this point it time, it is usually extremely itchy as well. This is all good, however. It means that your skin is repairing itself. So if you've got light scabs, you're good! Just make sure you don't pick or scratch them off and your tattoo should continue healing nicely. Proper aftercare procedures were not followed immediately after getting the tattoo. Your tattoo artist was too heavy-handed or repeatedly passed over the same area and excessively damaged the skin. If you have gigantic scabs, it's important to take care of them appropriately because you can significantly impact the end result of your tattoo. Read on! If you have large, multi-layered, crusty, mountainous scabs on your tattoo, you need to be sure to take care of them because knocking them off, picking, or scratching at them can cause your tattoo to look patchy and have spots where the ink hasn't taken. Your scabs need to stay dry in order to shrink and crumble off, and your tattoo needs to stay moist so that skin can continue to heal. Your job is to find a happy medium between these two points. Avoid applying lotions or creams to the scab itself. If you're apply cream to your tattoo, go around the scabs as much as possible. Do not pick or scratch at the scabs. 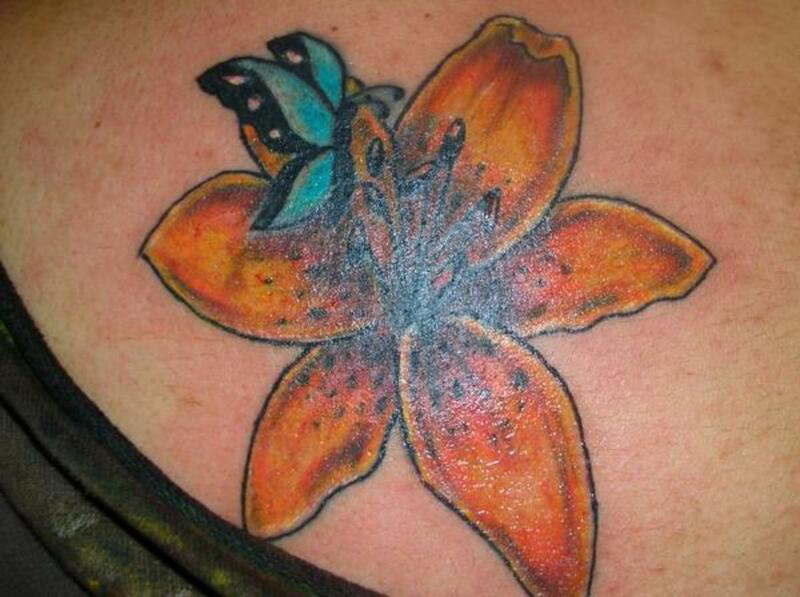 Ink often sits within them and gradually leaches back into the skin over one or two weeks. If you pick them off, you risk losing color in your tattoo. After your typical showering routine, let warm water run over your scabs as they soak up the water. Pat them dry with a clean towel when you're finished. This will help the scabs shrink and peel as they dry out over time. For larger, more stubborn scabs, lay a face washer or face cloth over the tattoo for the first few minutes of your typical shower routine. This will help the scab soak up water and speed up the drying and lifting of the edges of the scab afterwards. When dealing with scabs that just won't begin to crumble and fall off (if they're still there after three weeks) once you have laid your face washer over the scab and it is reasonably waterlogged, very gently, with a cupped palm full of antibacterial wash or soap, roll your hand over the scab whilst the warm water is still running. This will slightly help the edges start to lift away, but you must do it gradually. NOTE: This process is quite risky. Only do it for a few seconds and no more than twice a day. It is a last resort and done at your own discretion as potential loss of color is high. It is recommended that you try any of the above suggestions for only a few seconds at a time. 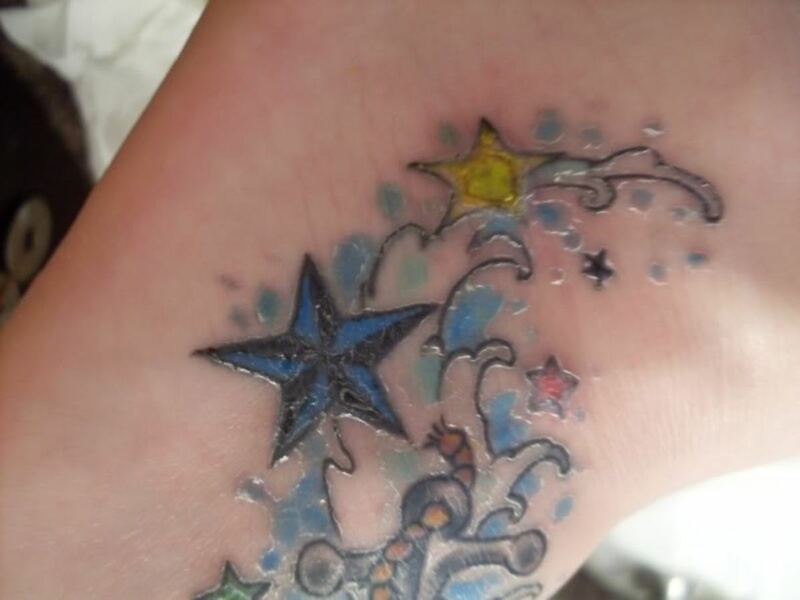 Excessive actions to remove the scabs could have an adverse effect and damage your tattoo. Aftershock Tattoo Aftercare Complete Box Set has every tool you will ever need to help heal and repair your tattoo - even if it has grown scabs. When you've paid a lot of money for an amazing tattoo, quality aftercare products are very important. I've seen good results with this product. 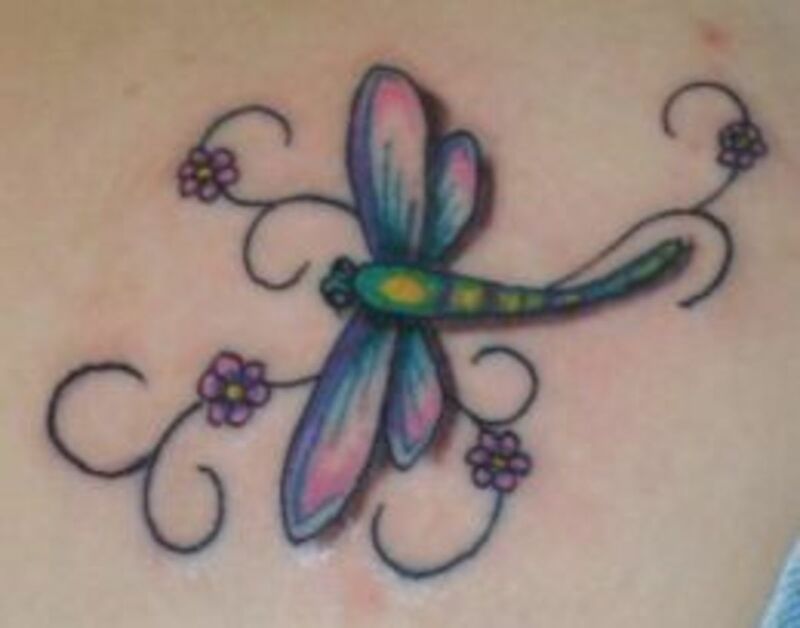 If a tattoo does not heal naturally and scabs come off incorrectly or too soon, it could potentially cause fading of color, patchy color or missing ink, blurred lines, or missing parts of the tattoo design. This can be extremely upsetting when it occurs, particularly considering tattoos are an investment of both your time and money as well as an expression of your personality and are something everyone can see. Complications are the last thing you want. 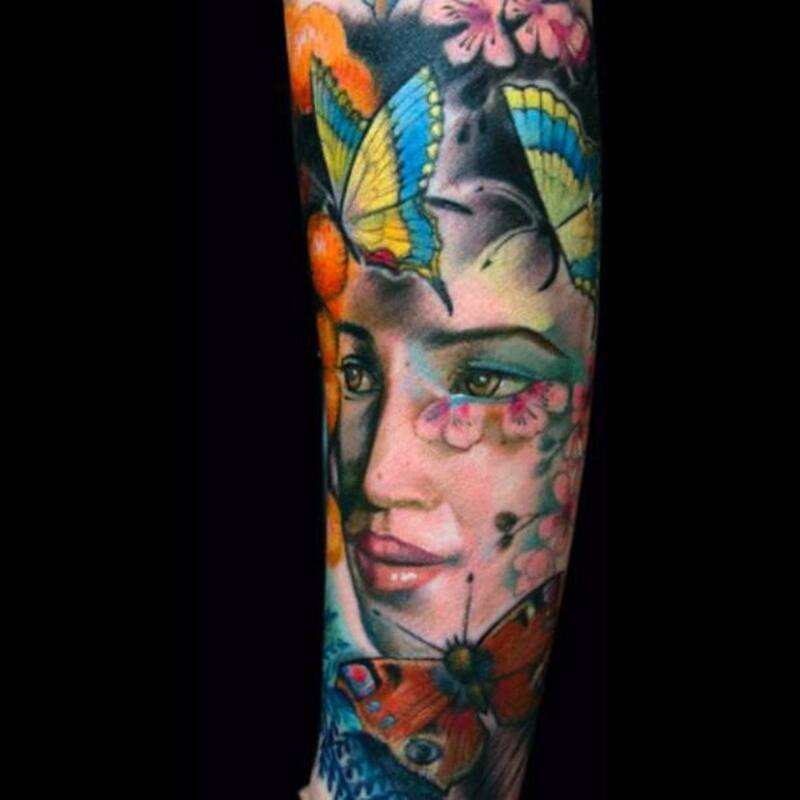 Most tattoo artists will want your tattoo to look its best, since the tattoo is a walking advertisement for them. Once your tattoo has lost its scabs and is completely healed, your artist may offer to fix up any ill effects from your scabs for free or at a discounted rate. If this is something you want to do, don't forget for too long, since there is often a time limit of six to eight weeks for getting touch-ups. 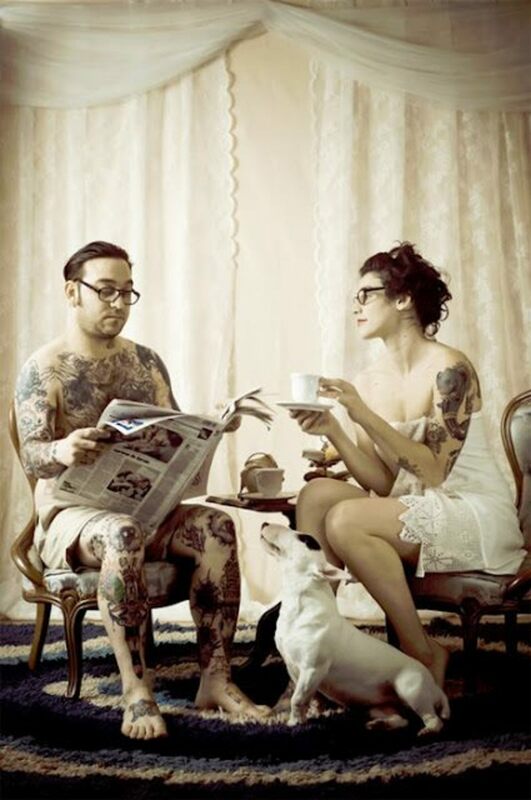 There is also no harm in going in for a visit earlier to show your tattoo artist what's going on. They would probably like to know what's happening with their work and may offer some further aftercare advice on dealing with your particular situation. 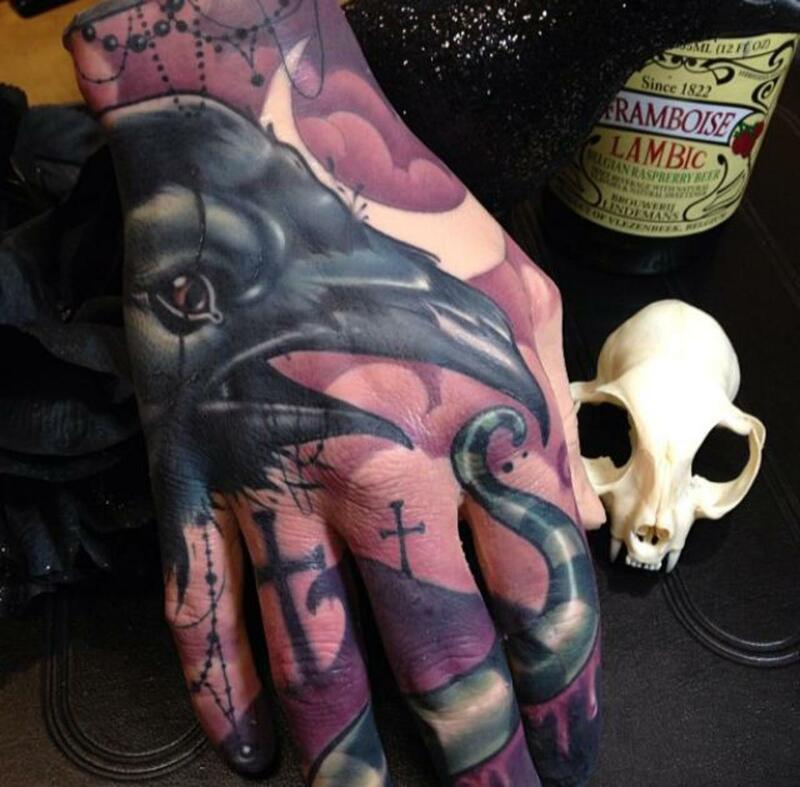 After all, they are the experts and have dealt with many tattoos and their healing issues. That said, the tattoo artist has no responsibility for your tattoo once you leave the studio. It is up to them whether they offer any further assistance. What Happened? How Did Scabs Form and How Can I Prevent Them Next Time? 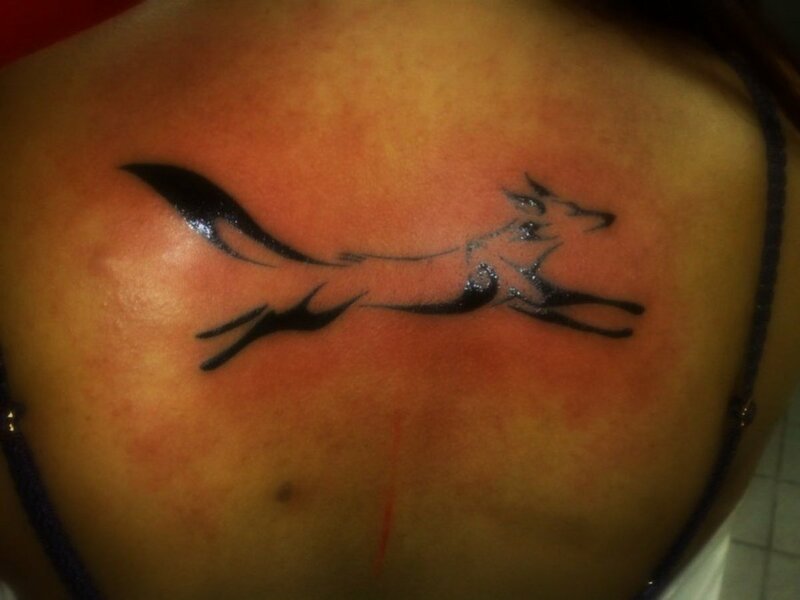 Protect the tattoo from dust or other tiny particles that might enter the fresh wound. Limit the air reaching the new tattoo. During the first day or so after you get your tattoo, normal skin will secrete a yellowish substance called plasma, which is the fluid that creates scabs. 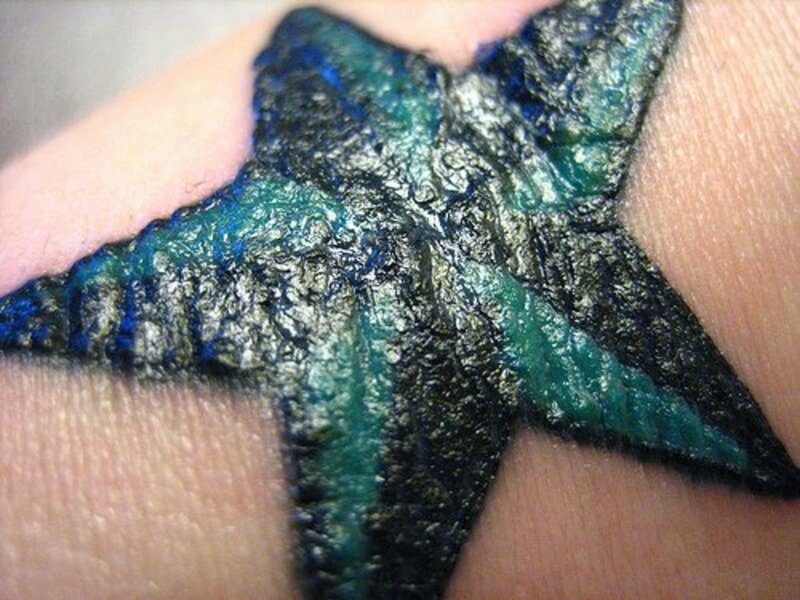 It will also secrete small amounts of ink and blood, which will be incorporated into the scabs. Use an anti-bacterial foam wash, especially one intended for tattoo aftercare, to remove plasma before it turns into scabs. When you do this, wash your tattoo very gently and only use your hand and not any kind of cloth. Let it air dry. Book your tattoo sessions in smaller blocks of time to avoid over-working the skin and damaging your tattoo. Follow all instructions to prevent infection during and immediately after getting a tattoo. This includes regular washing, avoiding wearing tight clothing, and if advised to, wrapping the tattoo well at night. Severe inflammation that persists after three days. If your tattoo feels hot to the touch, or you feel heat or itchiness radiating from the tattoo, it could be a sign of an infection. Redness that increases instead of decreases. Thin red lines streaking out from the tattoo are is a sure sign of infection; if you see red lines, go to a doctor immediately because you could have blood poisoning. Serious or uneven swelling, especially when accompanied by fluid-filled boils, or pustules. Foul-smelling discharge or pus is also a sure sign of infection. Body aches, fever, or general malaise that is unrelated to another illness. Scabs that are filled with a yellow or green fluid, or scabs that smell. If you suspect you might have an infection but aren't quite sure, go to the tattoo artist and have them take a look at your work. They've seen hundreds (probably thousands) of tattoos and will be able to tell you right away if you have a problem. If they recommend it, you should go see a doctor and follow all the instructions he or she gives you. 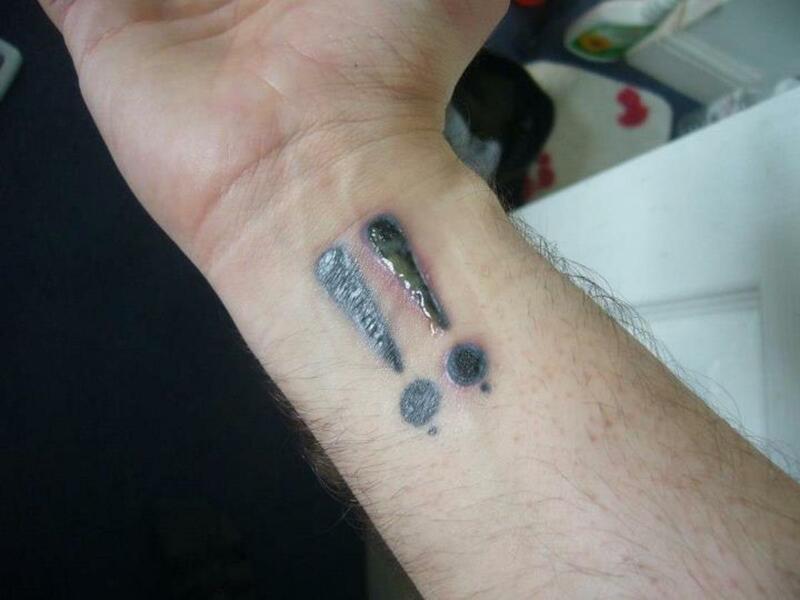 Your new tattoo doesn't feel right, concerned you may have an infection. 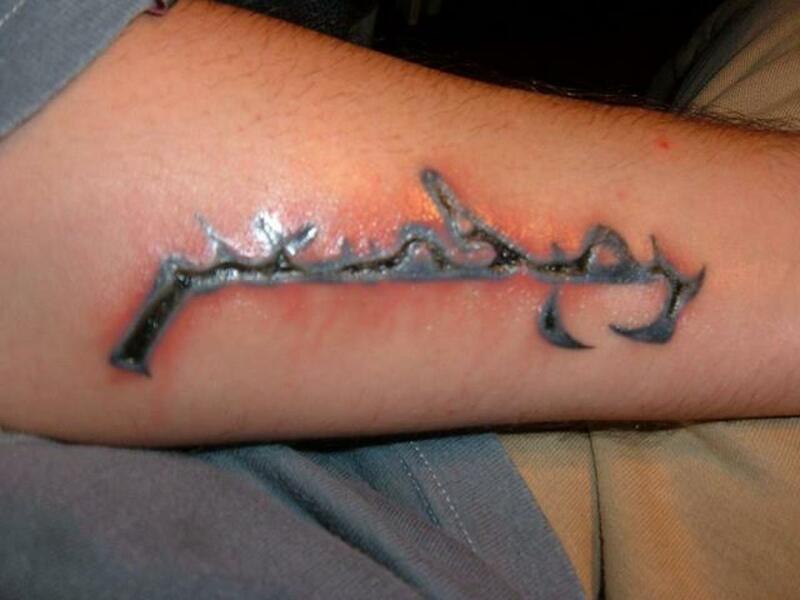 Learn the symptoms of an infected tattoo and instructions on how to deal with it. Has your tattoo developed large, crusty scabs? I got my tattoo well over 10 plus years ago, and i still get little scabs every now and than, what could it mean??? Please someone answer! I'm really nervous.